888 pages | 12 B/W Illus. 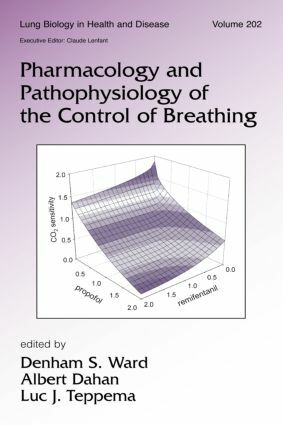 Exploring the functional anatomy and physiology of the ventilatory control system from the intracellular to the integrative level, this references serves as the first source to offer comprehensive coverage of the influences of various pharmacological agents on the control of breathing. "…a useful book to have on the bookshelf." "…[this book] has been creatively conceived and gestated by Drs. Ward, Dahan, and Teppema….one need only reflect on the potency of the tools currently available to our imaginations to realize there is a world of understanding out there waiting to be explored. Within this volume are many enticing next steps."